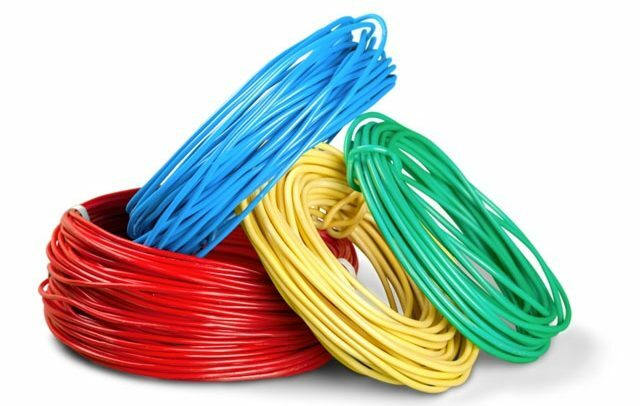 Inflammable Cables: Who Failed Us? If indeed 96% of imported electrical cables in the country are fake or even substandard then we are not safe and the reason is simple: some state agencies have failed to live up to expectation. Determining which agencies’ slumber on the job enabled these substandard products to find their way here, is a task that must be accomplished lest the situation continues, of course, to our detriment. The anomalous situation could therefore account for some inexplicable fires recorded in some parts of the country over the years. We go to the markets to purchase these products expecting that the relevant agencies in the country have done their statutory assignments of ensuring that only good quality stuff find their way here but we have been disappointed. Indeed the flourishing market of fake or substandard products is not restricted to only cables but pharmaceutical products. We sometimes wonder why the germane pharmaceutical agency responsible for weeding out such fake items, do not raid a known haven for these in a particular section of Accra. While addressing the media a couple of days ago or so on the state of imported goods in the country, Prof Alex Doodo, the Director General of the Ghana Standards Authority (GSA), painted a disturbing picture when he disclosed the worrying statistics. We did not even know that footwear too must meet certain standards – the testing for which is the responsibility of the GSA. We are unaware about such standards because the relevant agency and for that matter, the GSA, has not lived entirely up to expectation – the factors for which being another kettle of fish, cannot be tackled here. If we can manage below standard foot wears, we cannot do same for fake electrical cables given their inflammability. We are constrained under the circumstance to include the GSA among the agencies whose laxity has led us to the dangerous situation we are in today. The cost of the many years of harbouring and even patronizing these products is enormous and beyond quantification. Listening to the GSA chief on radio a couple of days ago, many asked what the authority had been doing over the years as they posed questions like: since when did they discover that such fake products have flooded the markets? For the period that the products continued to find space on our market shelves, what were personnel of the GSA doing? We are excited though that finally they have woken up from their unproductive slumber and even serving notice that they won’t rest on their oars until they rid the markets of the killer products. While we hope that they would succeed in this direction, we wish to ask that they involve the association of electrical engineers whose role in the exercise is critical. The conformity test and labeling procedure which most of the electrical products and others failed are obvious breaches of the law of the land. We therefore wait to see what prosecutorial action would be taken against the smugglers. After the media glitz which accompanied the DG’s disclosure, we want to see a sustained action on the markets because most Ghanaians doubt whether this necessary sustainability would be realized at all. For such skeptics, it is all a nine-day wonder. We shall see anyway.